Most people assume the end of the road for a Florida medical malpractice lawsuit is the verdict. However, that is not the case as there is always the potential for appeal. The National Center for State Courts reports medical malpractice cases have an appeal rate of 18 percent. Those cases that tend to have the highest rate of appeal are those that involve serious injuries, complex medical and/ or scientific evidence and expert testimony. That’s why medical malpractice cases in Florida tend to have a higher rate of appeal than, say, a car accident injury verdict. What’s more, the center reported, defendants who lose medical malpractice cases are more likely to appeal than plaintiffs. Because appeals can be so costly, it’s not unheard of for medical malpractice plaintiffs to end up back in negotiations with defendants – even after they have obtained a favorable verdict. The reason is if there is a good chance defendant will appeal (and may have a strong argument on appeal), plaintiff may agree to a settlement – ending the case then and there, albeit for a lesser amount – than go through the time, expense and ordeal of an appeal. It’s also possible that if a trial is bifurcated (split into separate issues, usually liability and damages) that a defendant will settle after liability has been determined, but prior to a finding of damages. It’s all going to depend on the circumstances and your medical malpractice attorney in West Palm Beach should fully advise you of your rights and obligations. One such scenario that was reported recently by The Ledger-Enquirer, a local newspaper in a suburb of Atlanta, GA. 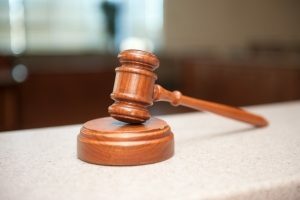 The paper reported that just an hour after jurors awarded a plaintiff in a medical malpractice case $26 million in connection with medical errors that led to serious personal injury, she agreed to a settlement of a slightly lesser amount in exchange for the hospital to drop all possible appeals. Plaintiff also agreed not to pursue an additional $10 million in legal fees for defendants’ alleged bad faith treatment. The case stemmed from one of those so-called “never events” – meaning it never should have happened. Plaintiff, who was 55 in 2012, underwent neck surgery that year, performed by defendant doctor. Three days after surgery, she’d been discharged but returned with intense pain in her neck and an inability to swallow. She was admitted at 5:30 a.m. but, in violation of hospital policy, was not seen by the admitting physician within two hours. As a result of that delay, plaintiff says, she suffered permanent brain damage, blindness, loss of coordination and balance and must now always use a wheelchair for mobility. This was a woman who ran a 5k race just days before her neck surgery. She used to sing in the church choir. She was also an employee in the city attorney’s office for more than a quarter century. Now, all of that has been taken away. Her husband died after the lawsuit was filed. Although it’s not uncommon for a settlement to be reached after trial, the fact that this settlement was reached in an hour is remarkable.